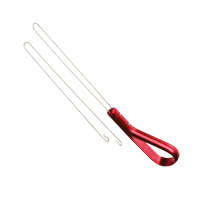 Durable red anodized aluminum handle facilitates pulling wire through terminal blocks, rings on main frame or fanning strip holes. 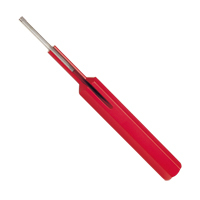 JIC-2257M overall length is 8 1/2" and JIC-2257M-12 overall length is 15"
This cable ring tool is designed for cutting the sheathing of inside type plastic, fabric or rubber covered cable 3/16", 1/4", 3/8", & 1/2". Durable metal handle. Tool is supplied with 1 replacement blade. 5 1/2" long. Xylan insulated wire loop puller facilitates pulling wire through terminal blocks, rings on main frame, or fanning strip holes. 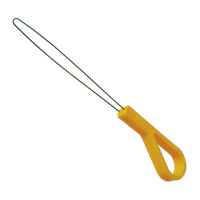 The yellow plastic lightweight handle fits snugly and is easy to hold in your hand. 8" long. 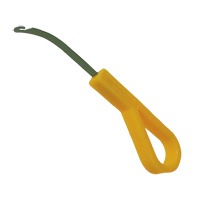 Xylan insulated cable sewing needle has a yellow lightweight molded grip handle that will harness or lace multiple lead bundles. 5 1/2" long. This "Chicago type" straight metal needle is designed for cable sewing. This tool, made of the finest steel is for anyone in the cable industry. Needle is .016" thick and 12" long. These tools service virtually all connectors conforming to Mil-C-26482, Mil-C-26500 with front release contacts made by such manufacturers an Amp, Amphenol, Bendix, Burdy, Cannon, Cinch, Continental, Elco, Flight, Pyle Nation and Deutsch. 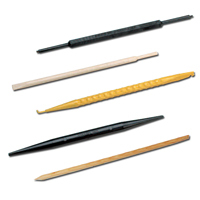 These tools contain strong, durable, stainless steel probes, & color coded handles. A plunger style pin extractor for pushing pins out from behind the connector blocks for contact sizes 16-20. 3" long. 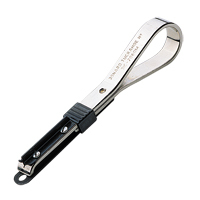 Clip Setter used for setting and withdrawing E and C clips with a inside diameter of 0.156" min. and thickness of 0.025" min. Max inside diameter of 3" and thickness of 0.093". One end of this tool has a hook with leaf spring tension for removing the clip. Other end of tool has leaf spring for holding clip in position to insert. 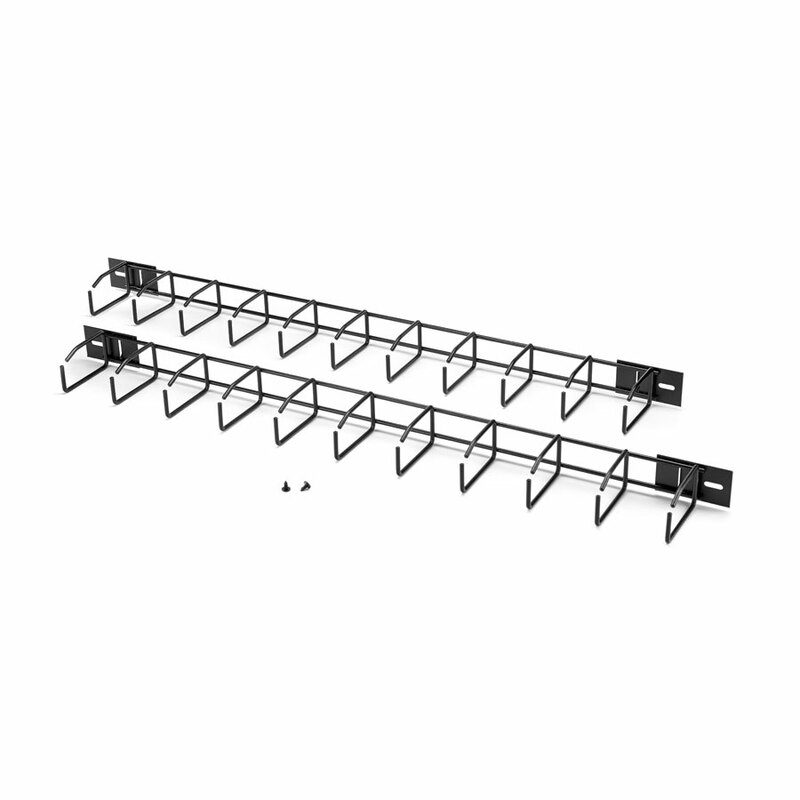 Narrow shape allows access to confined places. 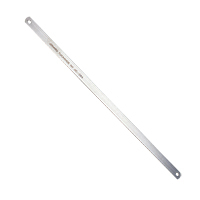 This tool is 6 3/4" long 0.275" wide and 1/16" thick. This 5 piece pocket kit contains a selection of the most popular non-conductive tools for aligning and adjusting components. 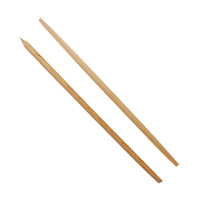 Static free double ended economical tool made of birch wood. 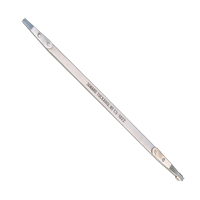 Used for cleaning electrical components and separating contact points, fine wires and other delicate components. 3/16" diameter x 7" long. 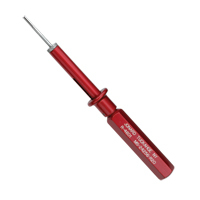 The S-389 has one end tapered to a point and the other end to a flat screwdriver type tip. 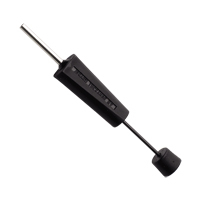 The S-389M has both ends tapered with a flat screwdriver type tip.